1. Scheduling. Sounds so great to sign up for pre-order on Amazon – easy peasy, right? Amazon gives you a drop dead date. Your final, perfect manuscript must be uploaded by their drop dead date or you lose the privilege of pre-orders for a year. That’s right, a year! So that means you have to have your book back from the editor and proofreader and do your final read through by a certain date. Or else! What happens if your editor or proofer gets sick? What if other obligations keep you from giving that final polish? Your book goes out unfinished or you can’t pre-order again. 2. That brings me to the editor and proofreader. You do have those folks lined up, don’t you? You have to pay for those services. 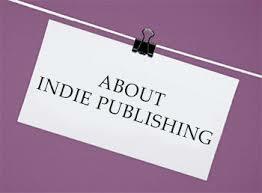 Some small indie publishers give the editors a percentage of sales. If you do that, then you’ll have to keep track of how much you owe them and pay them every month. And then there are forms to fill out for the IRS, like a 1099 to send to your editor and proofer no later than February 1 of the following year. 4. Copyright page – you are getting a government copyright, aren’t you? You can do it online and the fee is only $35.00. Don’t fall for that line that as soon as you write something, it’s copyrighted. That won’t do you much good in a court of law if you have to prove a story is yours. Big Five publishers pay for the copyrights for their authors. 5. Okay, you’re edited, proofed and ready to go. Where do you upload your book? 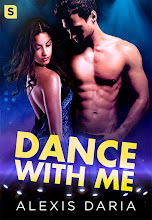 Do you put it exclusively in Kindle Unlimited or go “wide”—uploading it to other sites? These are important questions. Kindle Unlimited has reduced the pay-out percentage every month for the last three months. Payout dropped 11% in February, 16% in January. If you put your book there, you are captive and cannot list it with any other sales site for three months. 6. And what about the cover? If your cover doesn’t look professional, your sales will suffer. If your cover doesn’t grab readers, they move on. Publishers provide covers at their own expense. If you’re self-publishing, you have to find a great cover artist and pay for the cover yourself. If you have excellent design abilities and know what makes up a good cover, then you might try to create one yourself. You’ll still have to buy photos from a stock photo site. 7. Where do you find sites to put your book on? Research. I’m fortunate to be in an indie Facebook group where I made a friend who knows everything about self-publishing. He has given me places to put my book that I never would have dreamed of, including a site in China that has translated a book for me, free, and is selling it there. Belonging to a good indie Fb group is essential – not one where authors are dumping promos every day, but one with real, meaty discussions about self-publishing. 8. Okay, so now you’ve got your book up on six or seven sites. What about print? Of course you want your book in print. Createspace is the place to go for print. But you will have to reformat your book and create a print cover. Or hire your cover artist to do one for you. This is also something your publisher would pay for that’s now coming out of your wallet. This is POD, or print-on-demand, meaning your book will not go to bookstores. 9. What about audiobooks? Translations into foreign languages? And marketing? These are three areas you may have to tackle on your own, even with a publisher. A Big Five publisher will probably put your books into audio and maybe even get some translations done, if your book is a big seller. Smaller indie pubs don’t usually handle these tasks. Add these tasks onto a plate that’s already full and when will you find time to write? Ever notice that most publishers aren’t writers? Perhaps they don’t have the time. By now, you’re probably pointing a finger at me and saying “But you self-publish!” Yes, I do. At first, I only did about five books because my publisher couldn’t get them into her schedule. For the past five years, I’ve been with a small press. During that time I learned about many of the tasks I mentioned earlier. When my publisher closed her doors, I was ready to take on her responsibilities myself. Do I get overwhelmed? Of course. But I’ve chosen to accept these responsibilities, sometimes amid cursing and copious amounts of wine, rather than go to a fourth publisher. I’m happy self-publishing. I enjoy the control and endless possibilities. I also write and self-publish full time –it’s my only job.